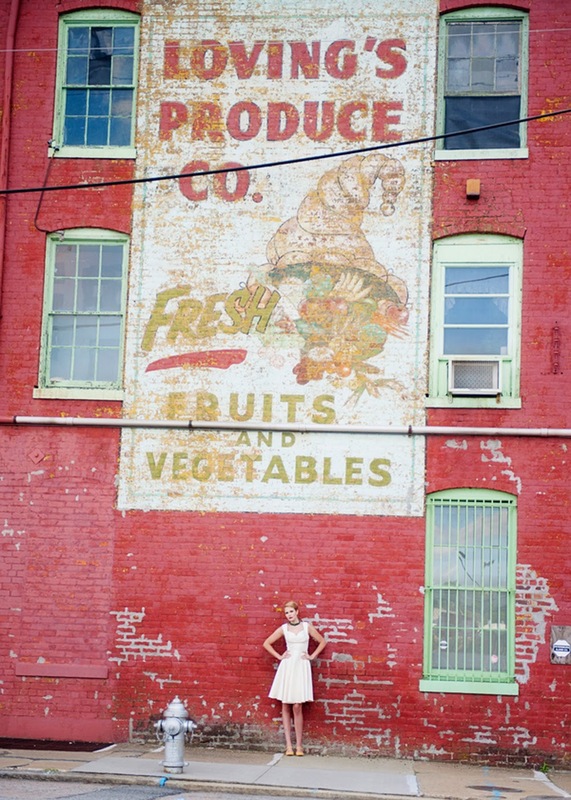 When you have abandoned buildings and railway cars of yore, and a gorgeous gal wearing 1950's inspired wedding clothes with accessories, you get this cute and fun styled bridal shoot! Images by Windy submitted this our way, and it is darling, with a bit of vintage urban flair. I had dreamed of doing this shoot long before it became a reality. I had a pair of ivory gloves that belonged to my grandmother that served as inspiration. I bought the Aisle Be There Dress in Lilly from Modcloth at least 6 months before and held my breath. I picked up the pill box hat, and green beaded necklace from local antique stores, and scored the vintage suitcase after it was dumped in the alley behind my home. Finally the perfect model, Leah Elkins, contacted me and asked me to do a vintage bridal session! Richmond Virginia is so full of historic charm. Main Street Station near the 17th Street Market was the perfect backdrop. We are so pleased with how it turned out! I love hearing how this shoot came to be a reality! Imagine being inspired by one thing, and then collecting bits and pieces as you go along, with no real goal yet, and then it all came together at the perfect time! 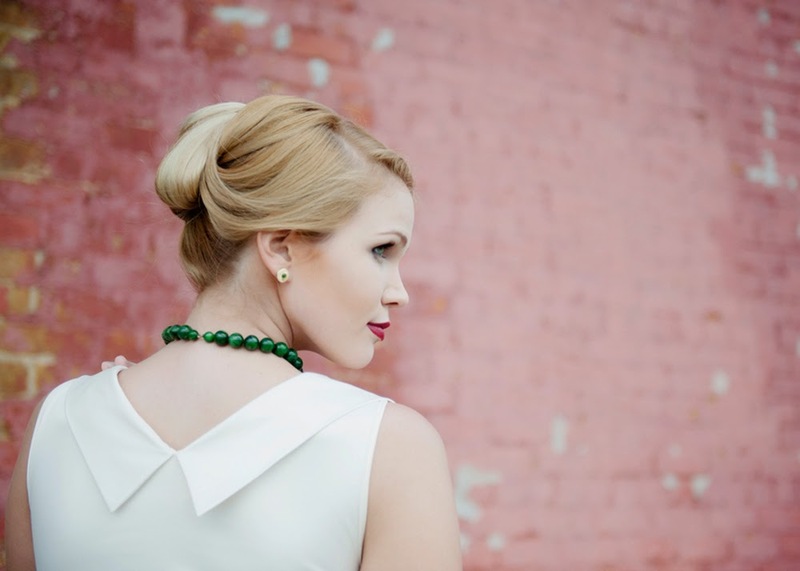 Our thanks again to Images by Windy for this adorable vintage bridal session!